Paso-Vermú is a classic sweet vermouth with a Paso-Primero twist. It’s crafted from a blend of Paso-Primero Tinto & Blanco which is sweetened, fortified and infused with Pyrenean herbs and spices. Great on its own, cut with tonic or boosted with a splash of gin. It has recently been awarded a bronze medal at the 2018 London Wine Competition. Paso-Vermú is our response to three years of making wine in northern Spain. Every day would inevitably involve an hour or two relaxing in one of the bars in Somontano and as anyone who's been to Spain recently will know, that means we were drinking vermú. As winemakers we're always curious to know how our drinks are made and once we'd fallen in love with vermú our curiosity got the better of us and we had to find out more. From those lazy, hazy days of drinking in bars we started experimenting and crafting our own unique blends. After months of sampling, trialling and having a lot of fun we found a recipe we could all agree on and Paso-Vermú was born. Obviously we don't want to give all of our secrets away but we're incredibly proud that with the exception of our botanicals 100% of our vermú comes from grapes. Not only does this keep our winemaking sensibilities happy but also ensures that our product is as close to a natural vermú as you can get with no artificial sweeteners or unnecessary chemical compounds. We recommend drinking it over ice with a big slice of orange but it's an incredibly versatile ingredient for cocktails. 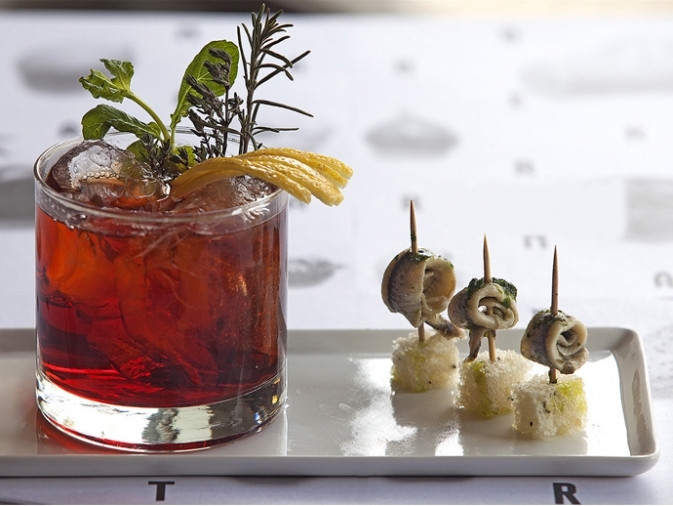 Classically you'll find vermú in a negroni but we'd love to hear about your own creations. If you're interested in stocking Paso-Vermú please get in touch with us on info@paso-primero.com. Our incredible label design has been created for us by the equally incredible Matt Sewell. You can find out more about his work on www.mattsewell.co.uk.